Last Friday Lars Huse, coffee lover and illustrator extraordinaire, released "Coffee A-Z" - a delightful little book filled with coffee information and accompanying illustrations. As the title succinctly describes it, the book informs and visualizes the world of coffee according to Lars. The event was held at Protein by DunneFrankowski, a minimalist coffee-bar-within-art-gallery space. Prior to the festivities, Robert hosted a cupping with a focus on micromills in Costa Rica and the best of Best of Panama. To provide you with a bit of background on the Costa Rican coffees, Robert has been partnering with Exclusive Coffees over the last several years to first establish relationships and then buy coffee from quality-focused farms and micromills. Some of these micromill partners were represented at this cupping: Helsar de Zarcero, Don Mayo, Herbazu and Puente. Our approach within each country we buy from is focused and targeted, so when we met with Francisco and Juan Ramòn of Exclusive to discuss present and future strategy, we decided that rather than offer our customers "everything", we would focus on a handful of micromills and a handful of farms whose coffee is processed within each micromill. This allows for better relationship building, easier and more transparent communication and for better planning for future seasons. 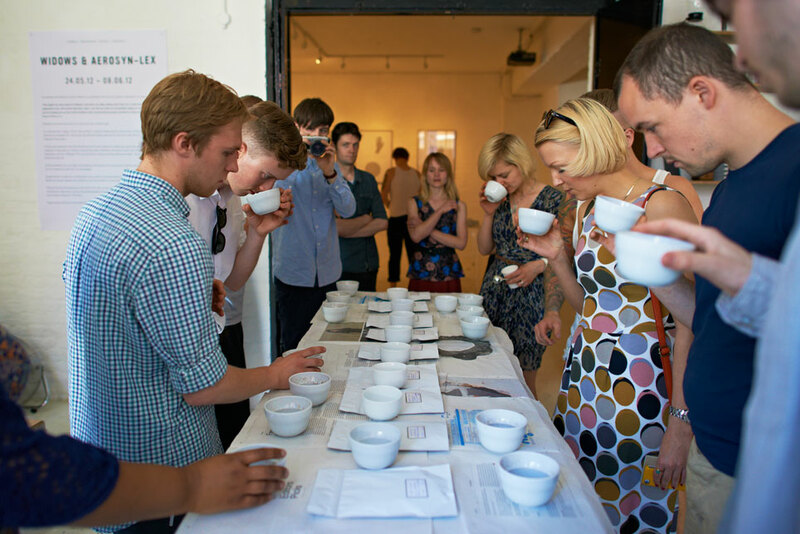 So what did cuppers think of the coffees presented? 9 coffees were cupped and there were several varieties presented from each micromill. Sometimes Villa Sarchi presented more intense acidity but the Caturras also proved citrusy. The standout on this table came from the El Sur farm from the Puente micromill - this coffee had a lot of acidity but it was nicely balanced with sugary sweetness. From the Best of Panama auction, we selected what we deem to be the "cream of the crop" from all three categories (i.e. geisha, natural, traditional) including natural and washed processed caturra, natural and washed geisha, washed pacamara and natural catuaì. Representative farms included Mama Cata, Los Lajones, Kotowa, Don Julian, Don Tito and Santa Teresa. There was some lively discussion about this table due to the varietals, processes and regions represented. Many of you know about the Jaramillo farm located in Boquete and owned by the Peterson family. The geisha produced on this farm is well-known for being delicate and floral with prominent lemon citrus and jasmine flavours - people have come to love these attributes and it has put this farm and region on the map and the Petersons now hold their own successful auction. This year's geisha winner also presents the above-mentioned attributes but it comes from Volcán, a region not as ubiquitous for this varietal and these flavour characteristics. Another topic that prompted discussion is the processing debate surrounding the geisha varietal. Does natural processing "cover" or "hide" the natural attributes of geisha? In the case of the winner from the "naturals" category, Don K from the Kotowa farm, no, natural processing does not take away from the elegance and cleanliness of the coffee. In the case of the second place winner, from Mama Cata, the natural process is more evident but the coffee is still lovely. Many of the 20 cuppers chose this one as their favourite. 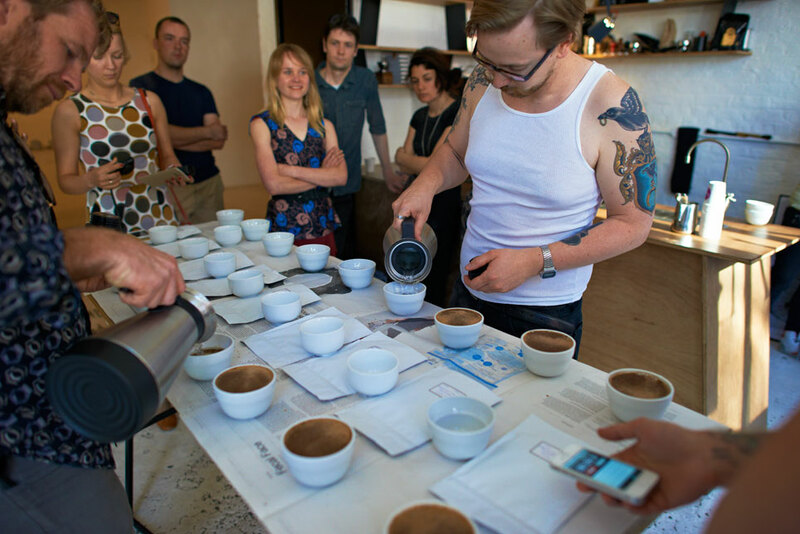 And so, another interesting cupping with the London coffee community has come to an end. Thanks to all who came out to participate and to Lars and DunneFrankowski for providing an event and venue for this. Hope you enjoyed! Newer PostThe Guatemala Box. It's Here!